John Porcellino is a stalwart of the indie comics scene. King-Cat Comics is going on its 26th year, and Porcellino’s zine distro, Spit and a Half, was how I bought some of my first indie comics at SPACE in Columbus last year. 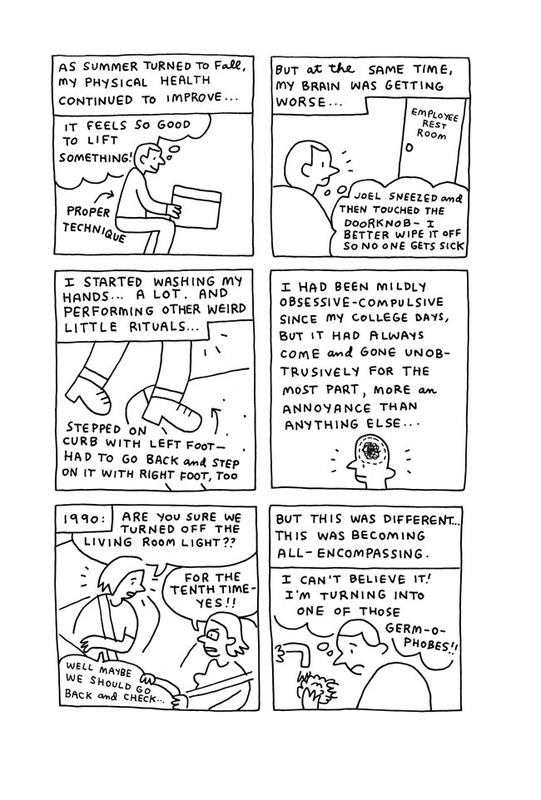 Late in 2014, Drawn and Quarterly released John’s latest graphic novel, The Hospital Suite, 240 pages of black and white comics plus excerpts from two other series, True Anxiety Comics and Mercy. In these, the reader is invited to take an intense, up close view of the physical and mental health struggles Porcellino has had over the past 25 years. Porcellino’s classic style is here in full force, with its loose, minimal lines. You could call The Hospital Suite’s art simplistic, but perhaps distilled is a better word – Porcellino’s comics are drawn down to their bare essence, stark line on white paper. Because of this, Porcellino is able to get into the very dark, personal places and expound on the challenges and struggles of living with an anxiety disorder without it becoming completely overwhelming for the reader. 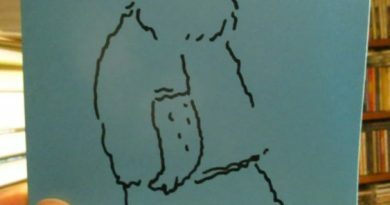 The section “True Anxiety,” which starts two-thirds of the way into the book and lasts until its ending, details Porcellino’s battles with severe anxiety and OCD. Written another way, this list of activities and thoughts could be the lesson plan for a course on anxiety disorders. But Porcellino personalizes it, finds humor in it. In this perfect example of the author against self, Porcellino does not always win, and sometimes triumphs are quickly overturned. Each small piece of the story feels like a battle won or lost in a raging war that seems to have no end. Still, this is as much a story of the author against self as it is a story of personal growth and development. Porcellino embraces Buddhism, loses and gains relationships, and comes to terms with the ebb and flow of life. psychiatry. What strikes me is the steps that Porcellino has to go through before he can find healing; I’m reminded of the fears of medication and modern medicine, and how even when modern medicine does work, it often fails to treat people like human beings instead of just patients. Getting help is simultaneously the hardest thing Porcellino does, and the easiest thing it seems he can do. The juxtaposition is masterful. 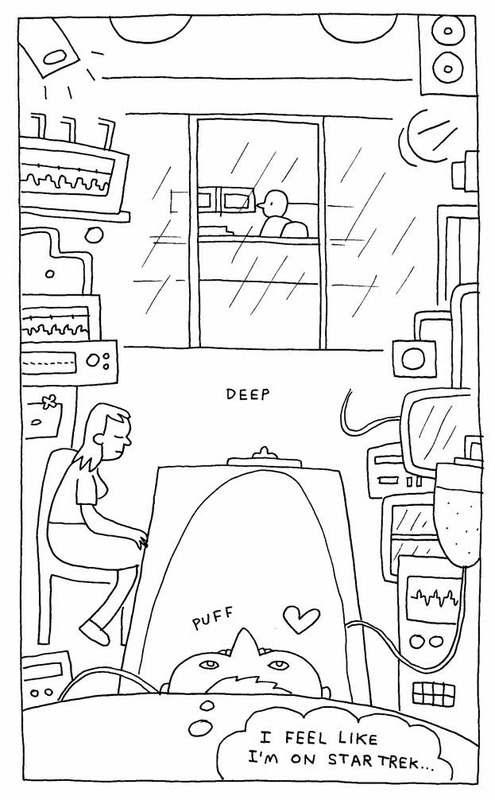 Autobio comics are often seen as one of the entry points to independent comics. 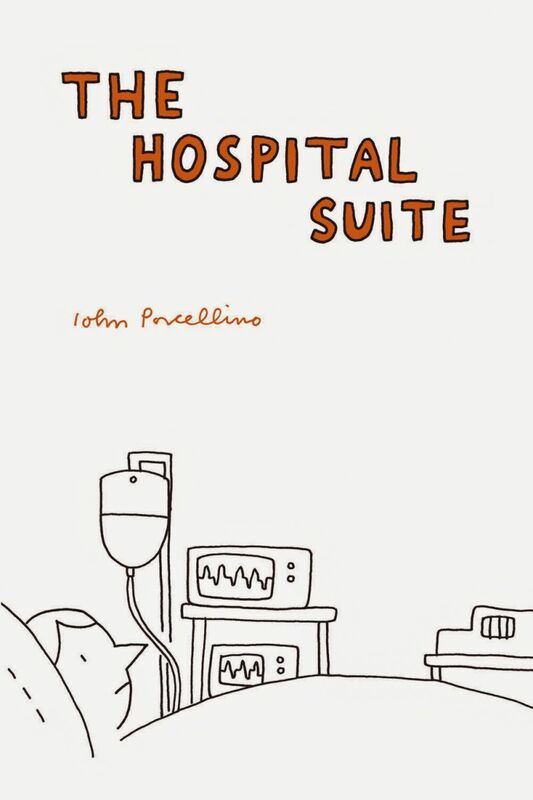 They are the one subject on which the author is completely able to “write what they know.” But it takes a special talent to write these comics well, and Porcellino proves that with The Hospital Suite. 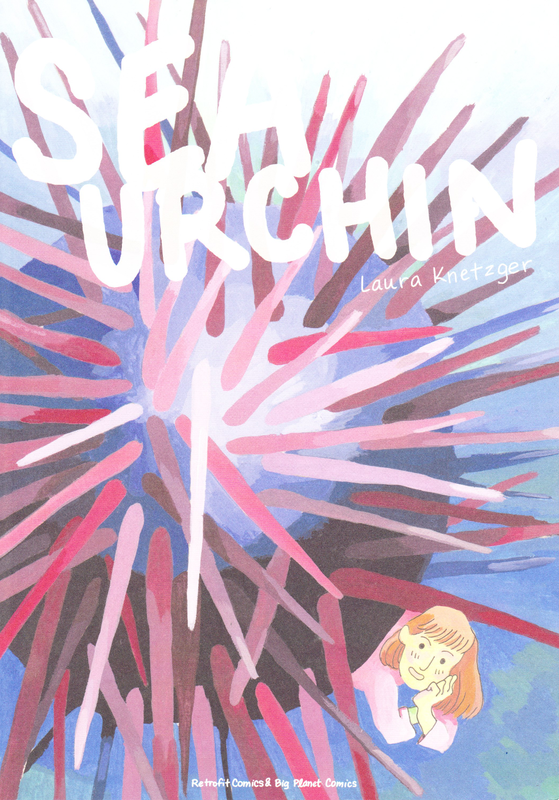 Thoughtful, introspective, funny, wince-inducing, and sad, this book is a triumph of the form. Recommended. John Porcellino johnporcellino is a cartoonist currently based in Beloit Wisconsin. 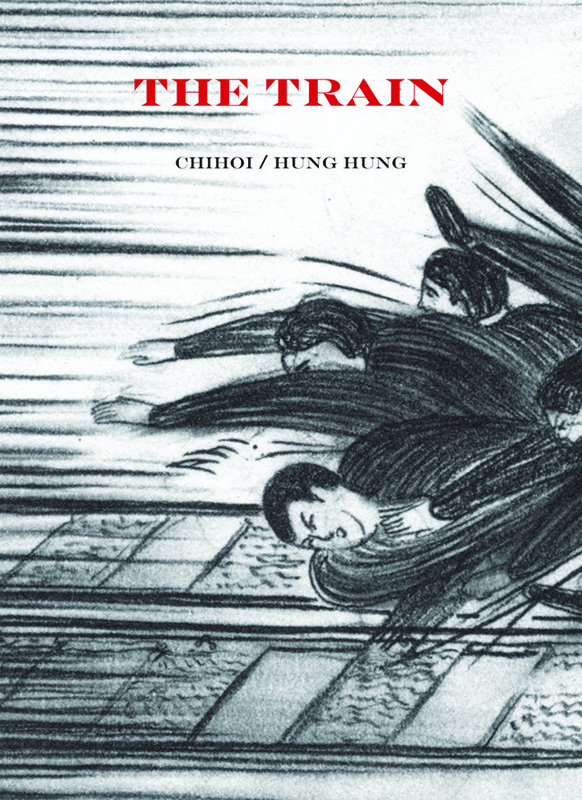 You can find more of his work and thoughts on his blog, and buy books from his zine distro, which should be updated to a brand new interface fairly shortly. Drawn and Quarterly drawnandquarterly is a publisher of fine comics based in Montreal. You can find out more about their Spring 2015 lineup at their website.